Yellen supports Fed’s patient approach to rate hikes. Former Fed Chair Janet Yellen said she supports the Fed’s current approach to interest rate policy in an interview today. She noted that its uncertain whether the Fed will need to raise OR lower rates next, depending on economic conditions, adding that she expects “solid growth in 2019”. Yellen also listed the threats that she sees to the US economy: slowing global growth, disruptions to global trade and potential uncertainty resulting from a hard Brexit outcome. 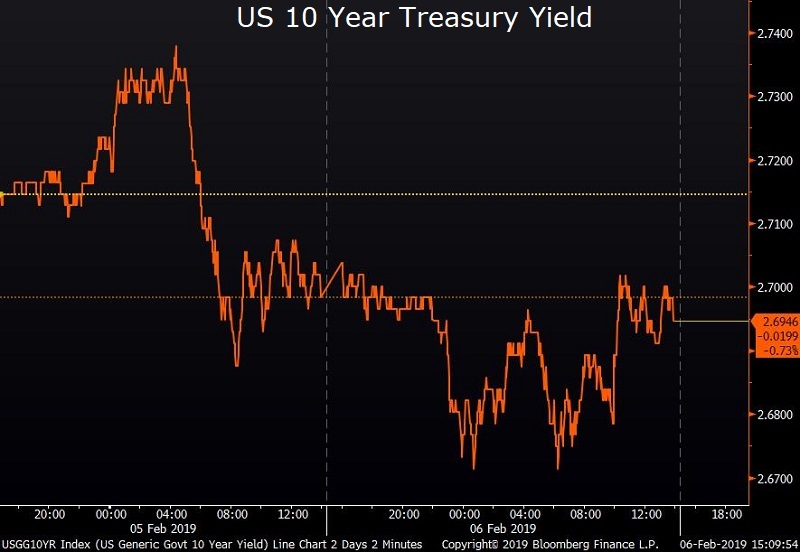 Despite an early decline in rates, the ten year treasury yield ended the day little changed at 2.695%. Swap rates were range bound as well – the five year swap rate falling 8/10ths of one basis point. Housing market gets short-term boost on lower rates. A day after manufacturing and service activity data came in line with expectations, US mortgage applications shrunk by only 2.5% - a much smaller drop than expected. The decline in interest rates appears to have helped the housing market rally after months of decline. 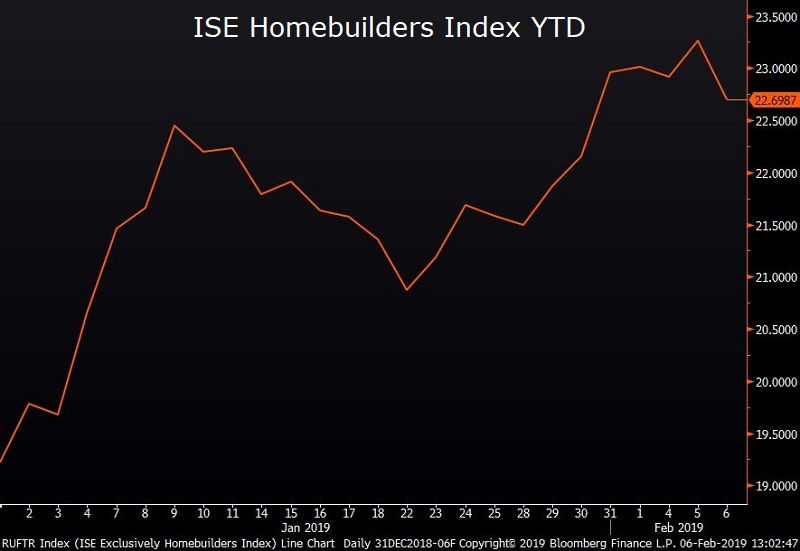 The ISE Homebuilders Index is currently up 22% on the year, outpacing most equity indices to start 2019. 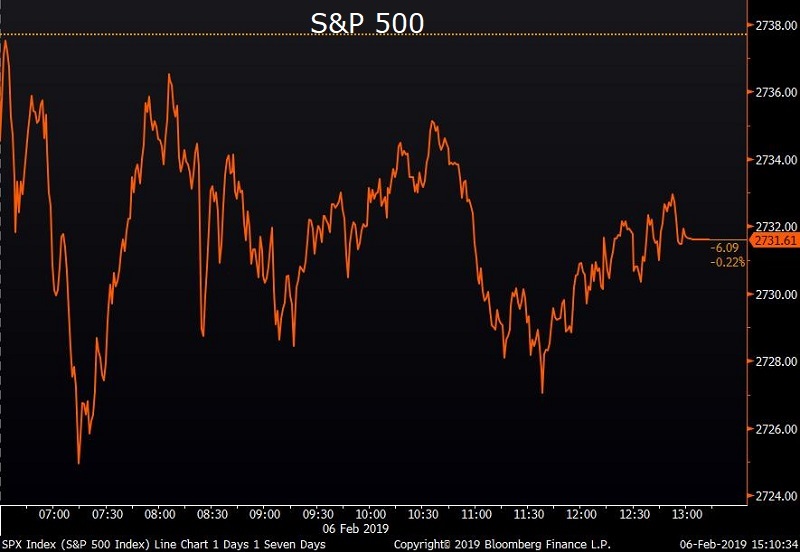 S&P 500 declines for the first time in five days. The US equity index traded marginally lower (-0.03%) as earnings reports were mixed and President Trump’s State of the Union address gave markets little to celebrate. Video game developers were the biggest decliners in the S&P while semiconductor producers outperformed. Overseas concerns around the German economy pulled the Euro 0.36% lower to $1.1365, but left equity markets largely unscathed as the Euro Stoxx index closed down just 0.11%.